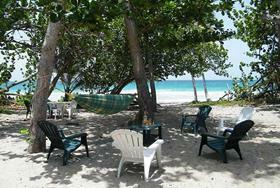 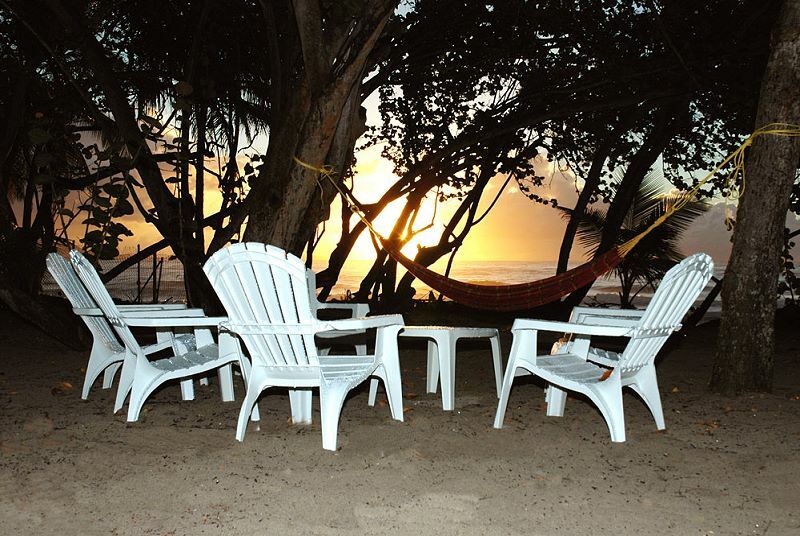 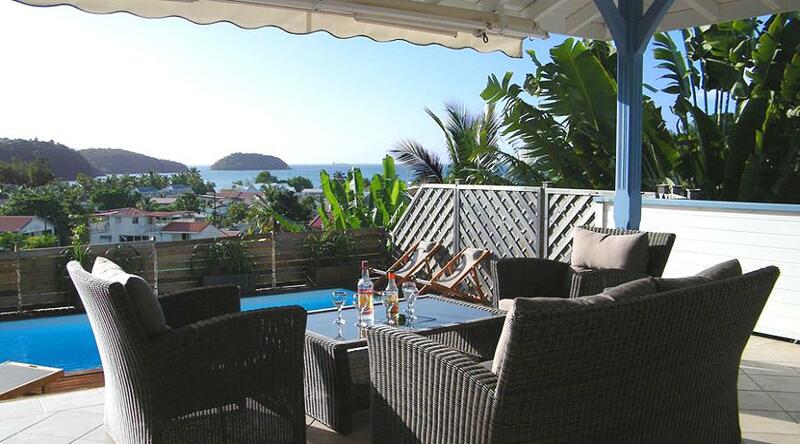 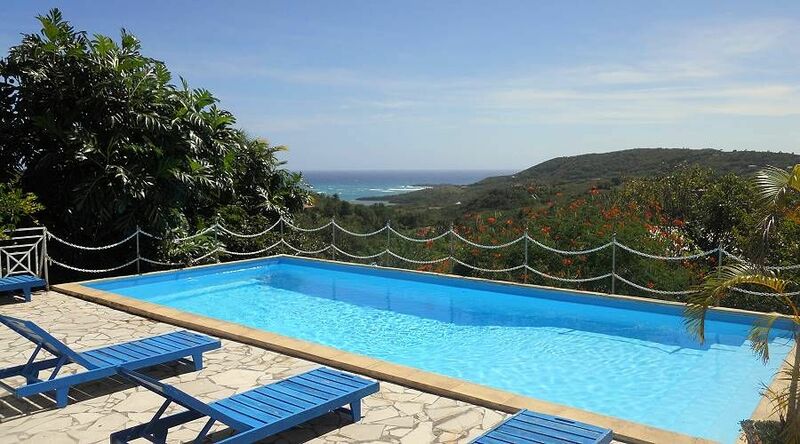 Villa Resinier is a dream, home away from home, for your holiday in the Caribbean. 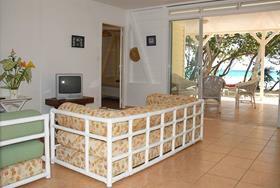 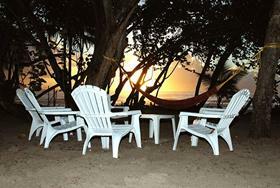 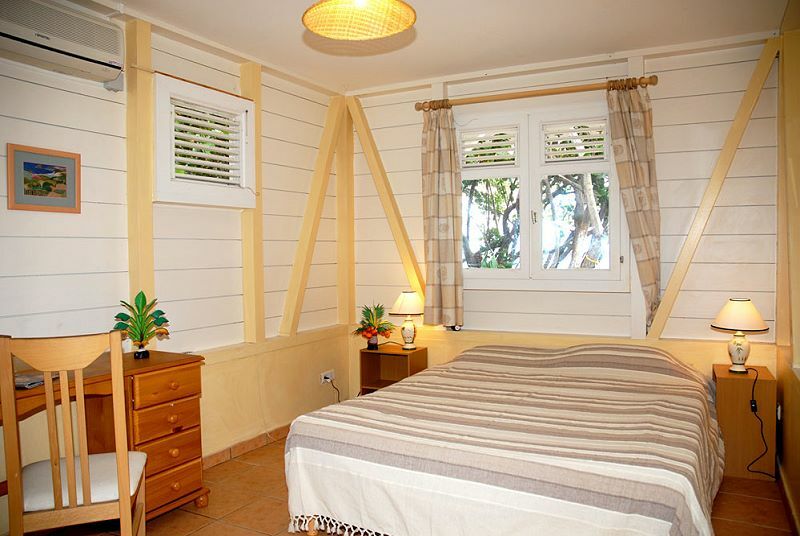 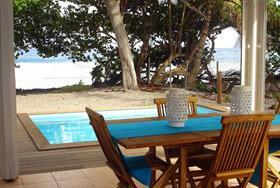 Directly on the beach of Diamant less than 20 meters from the sea. 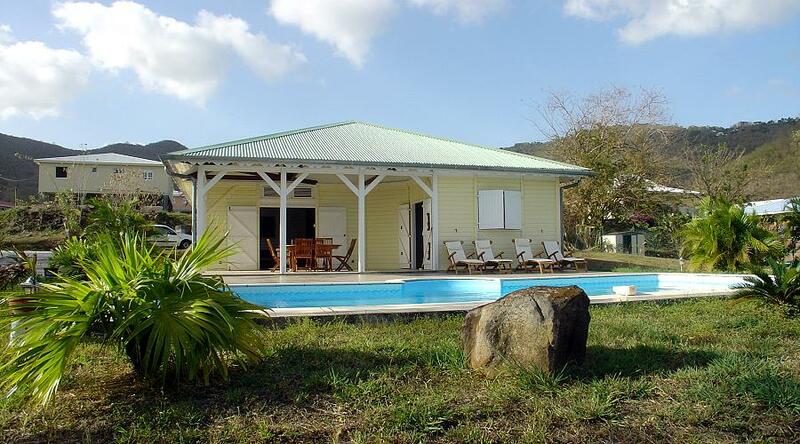 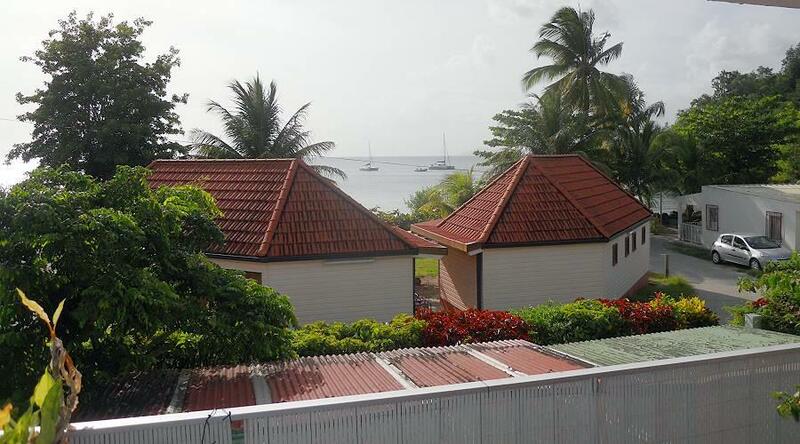 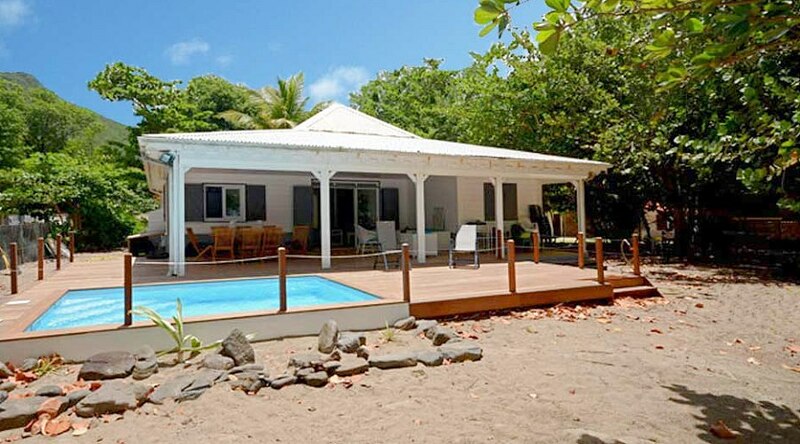 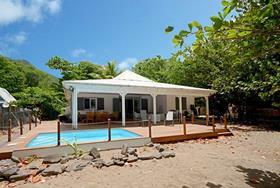 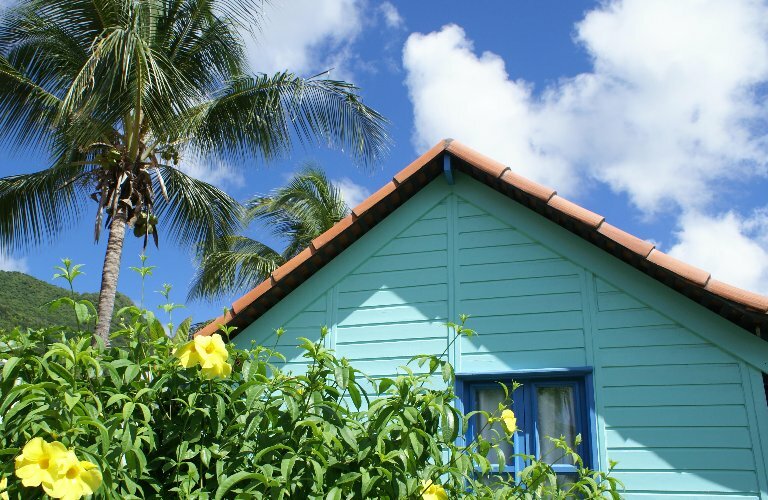 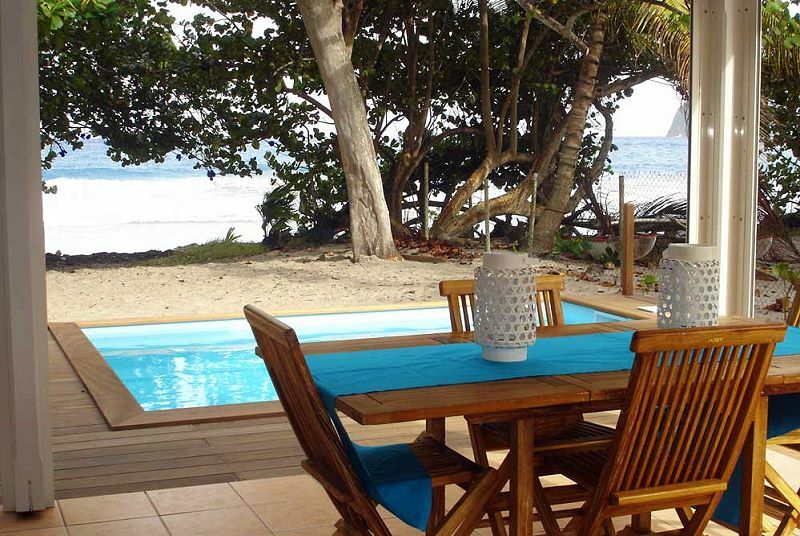 A beautiful and comfortable Creole wooden villa with swimming-pool nestled in the shade of the palm and coconut trees. 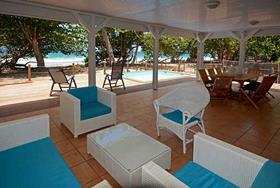 Villa Resinier can accommodate up-to 8 people. 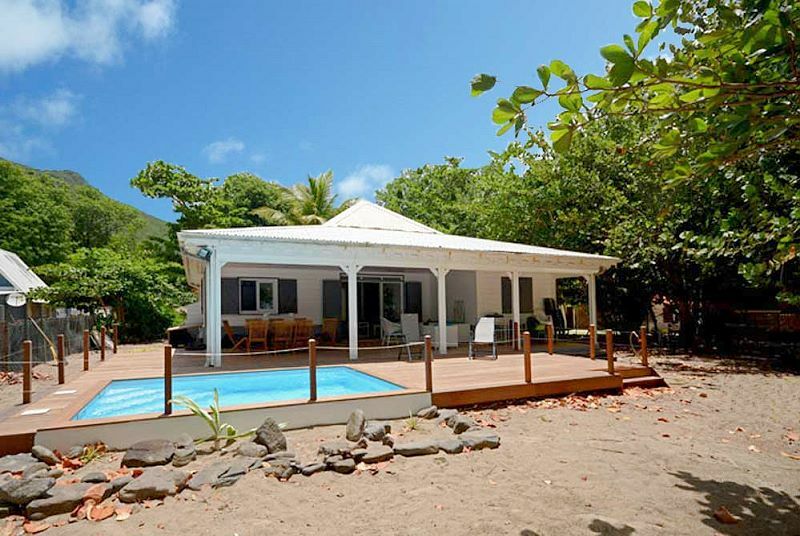 Villa Resinier is comprised of a living room backing onto a 40mq veranda. 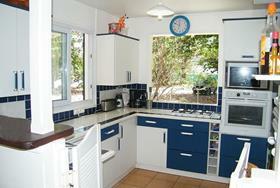 It has a fully equipped American kitchen and 3 air-conditioned bedrooms each with en suite bathroom. Well equipped and with various creature comforts, wi fi connection available and satellite TV. 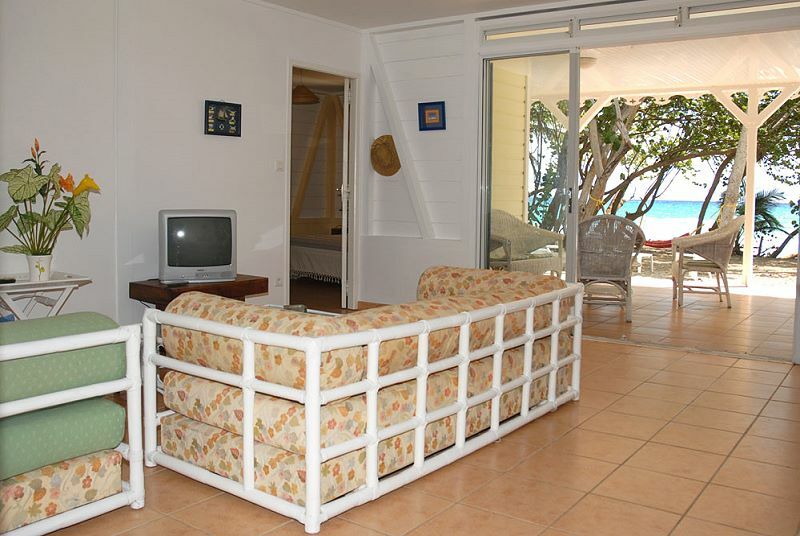 Living room open onto the veranda. American style kitchen fully equipped with dish washer and large family fridge. 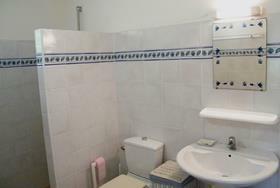 1 double bedroom with 160x190 bed. 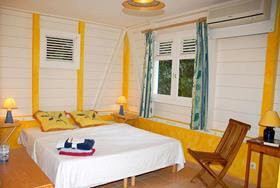 1 twin bedroom with 90x200 beds, twins can be joined to make a 180cm bed. 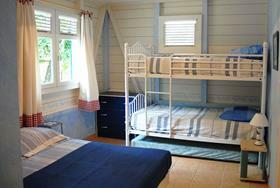 1 double bedroom with a 140x190 bed and a bunk bed. Option for extra child’s bed. Sheets, towels and household linen supplied. 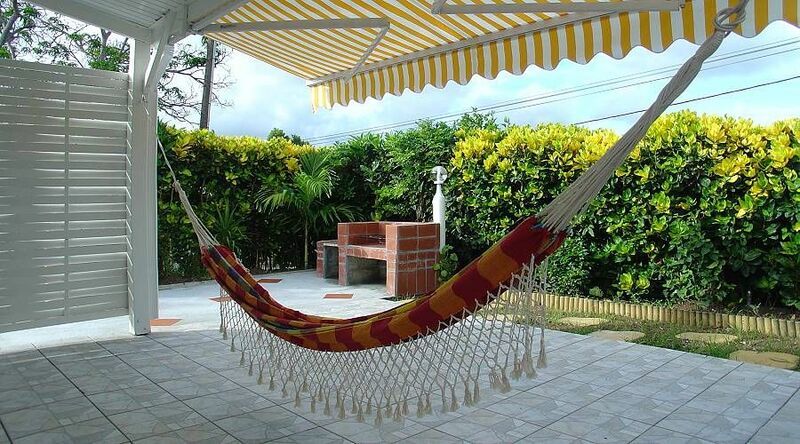 Option of a household cleaner on request. 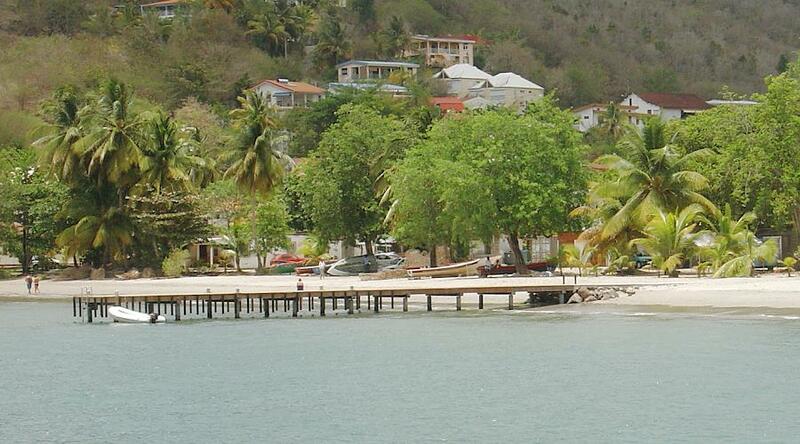 The town of Diamant with its various shops, restaurants and facilities is reachable in 10 min. 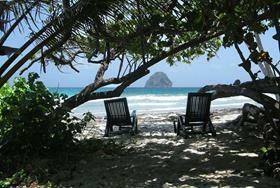 In a 15/30 min car drive you can also get to Anses d'Arlet, the beach of St Luce and other beautiful beaches.